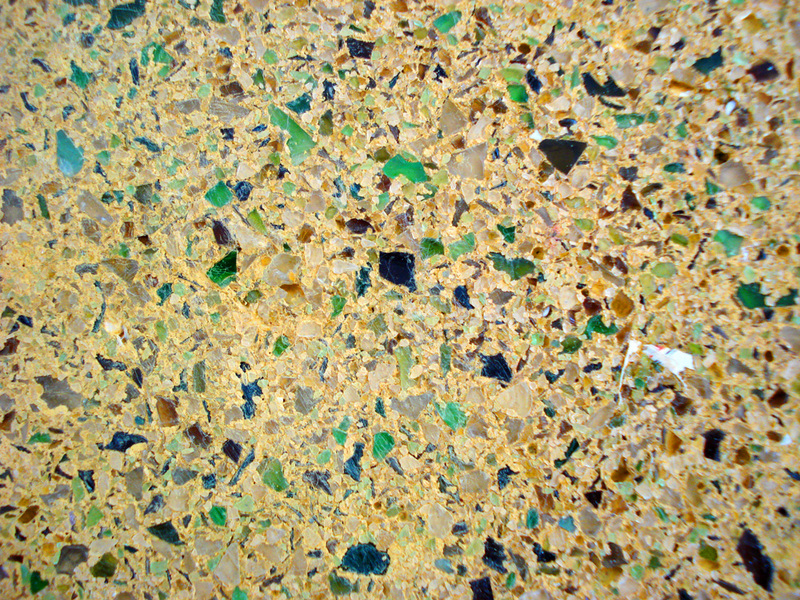 detailed view of paving sample showing recycled glass content. the glass is recycled and made into slabs on shetland by eco award-winning enviroglass, a social enterprise committed to green business. 12 Aug This entry was written by admin, posted on August 12, 2009 at 5:18 pm, filed under Uncategorized. Bookmark the permalink. Follow any comments here with the RSS feed for this post. Both comments and trackbacks are currently closed.